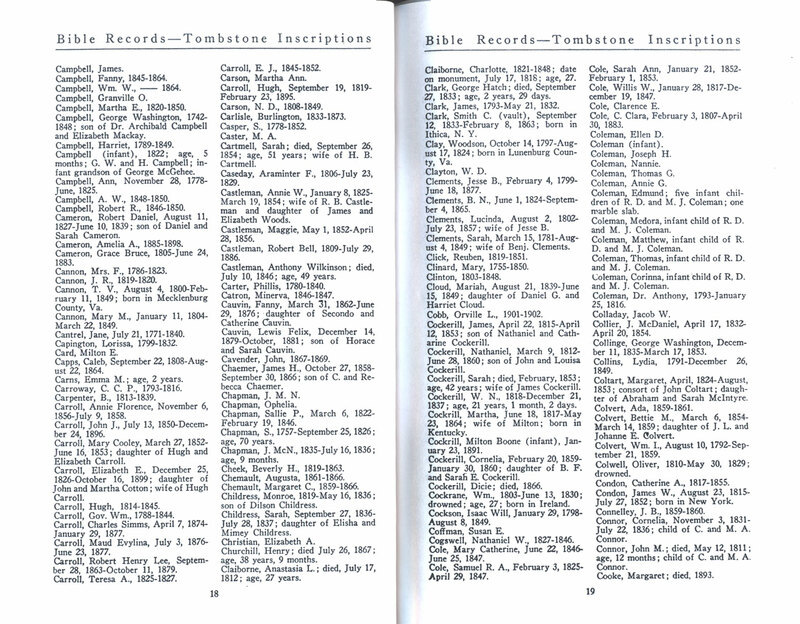 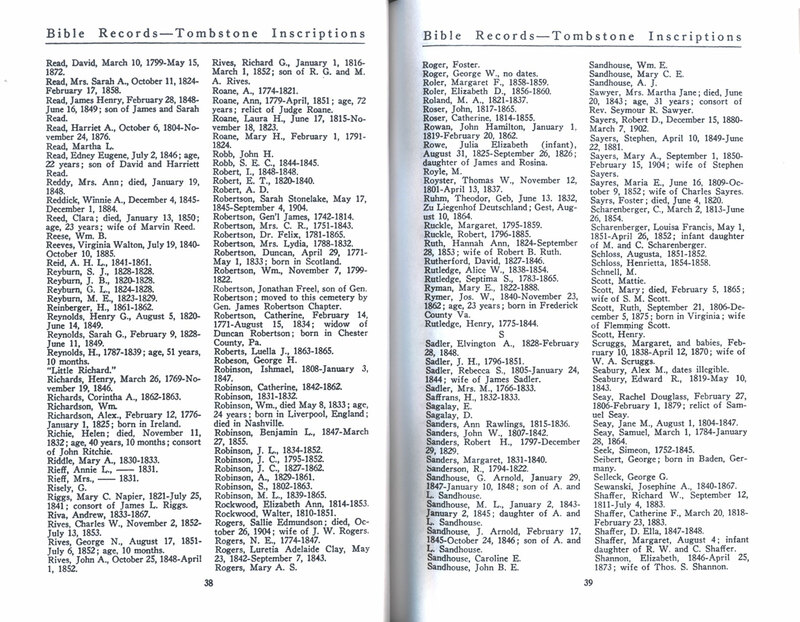 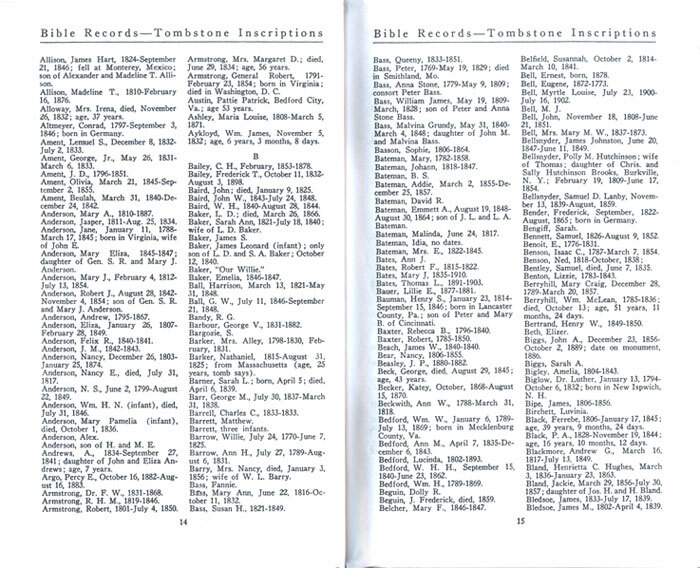 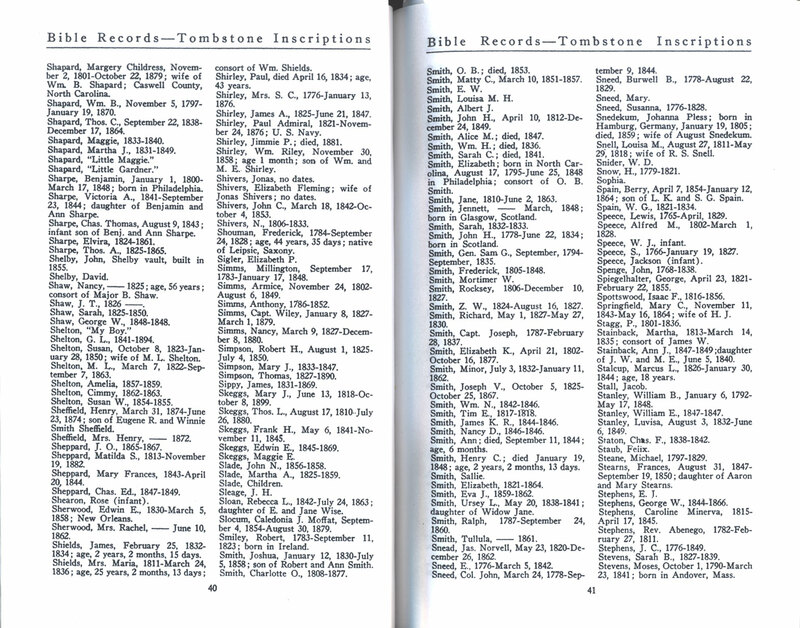 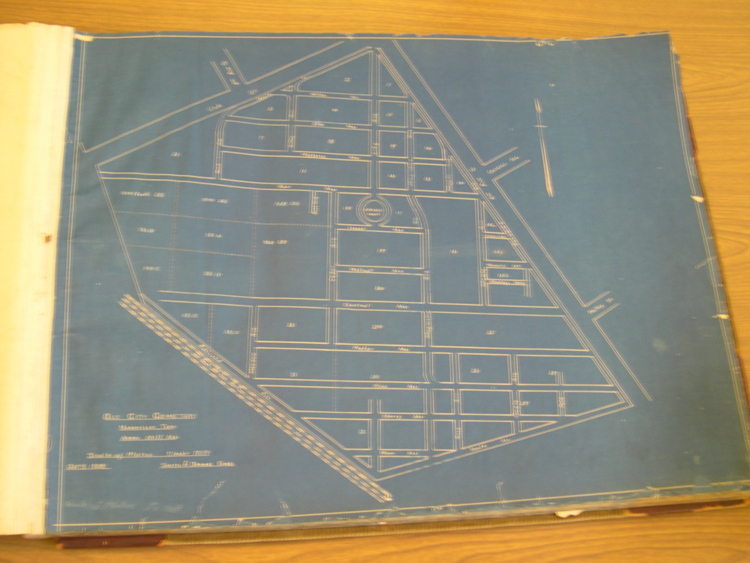 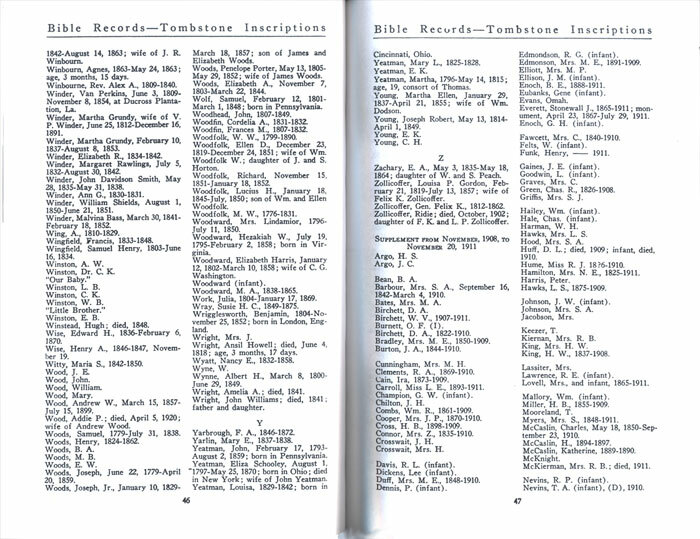 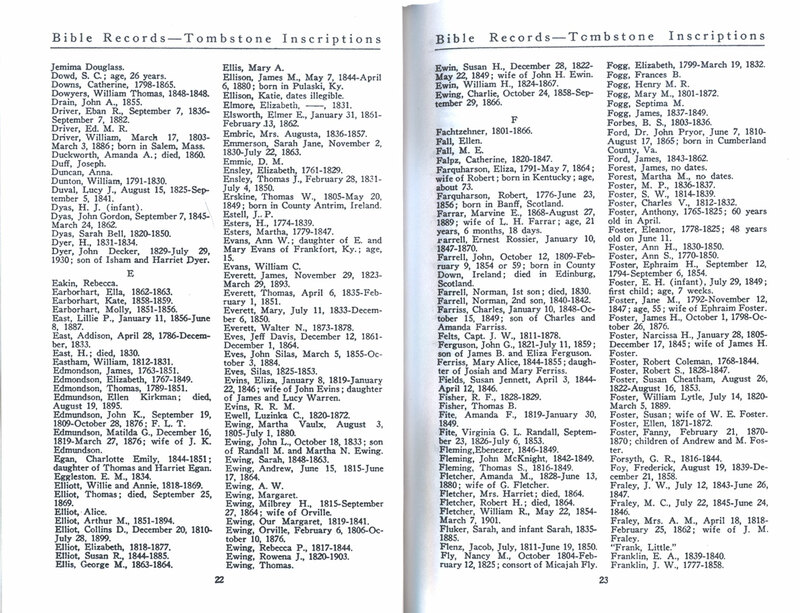 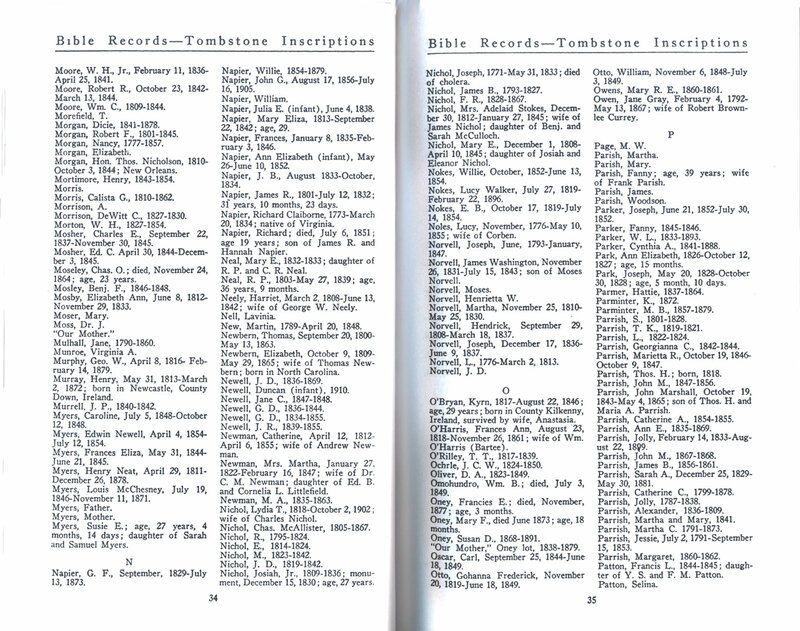 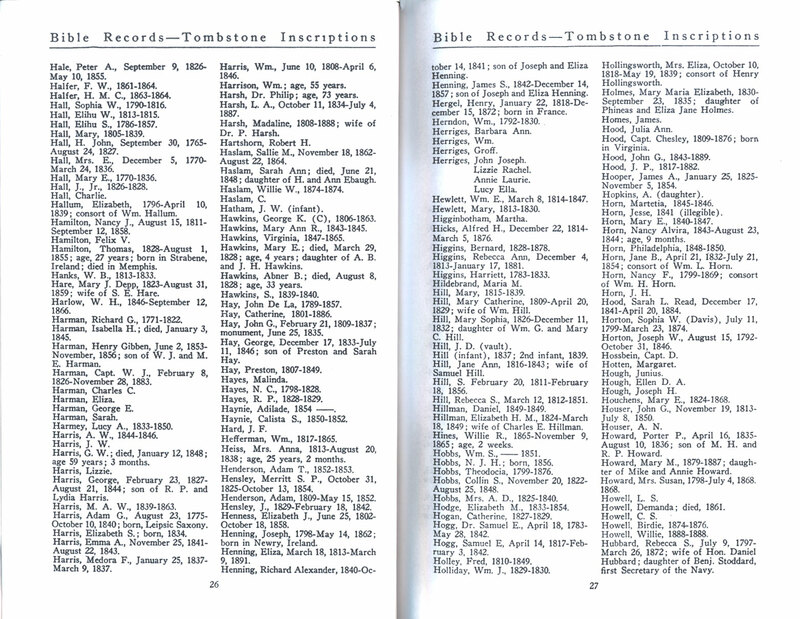 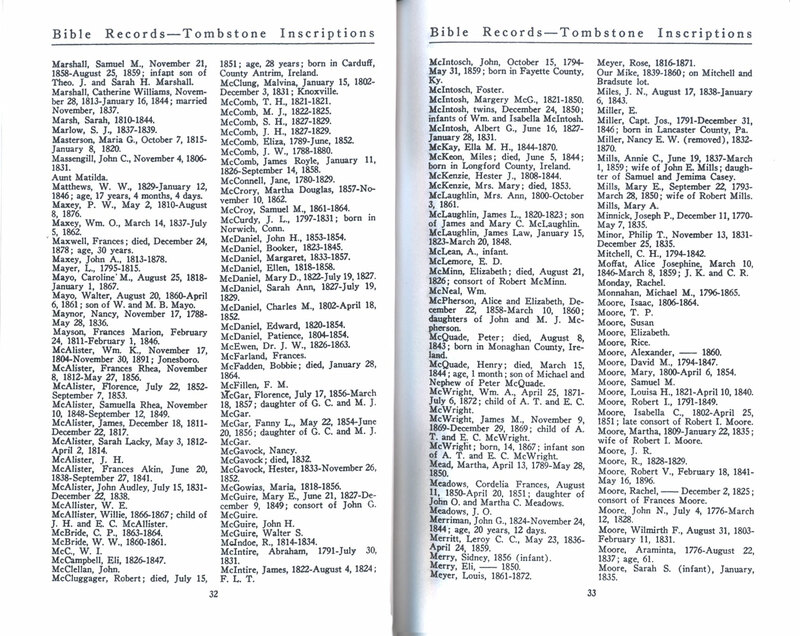 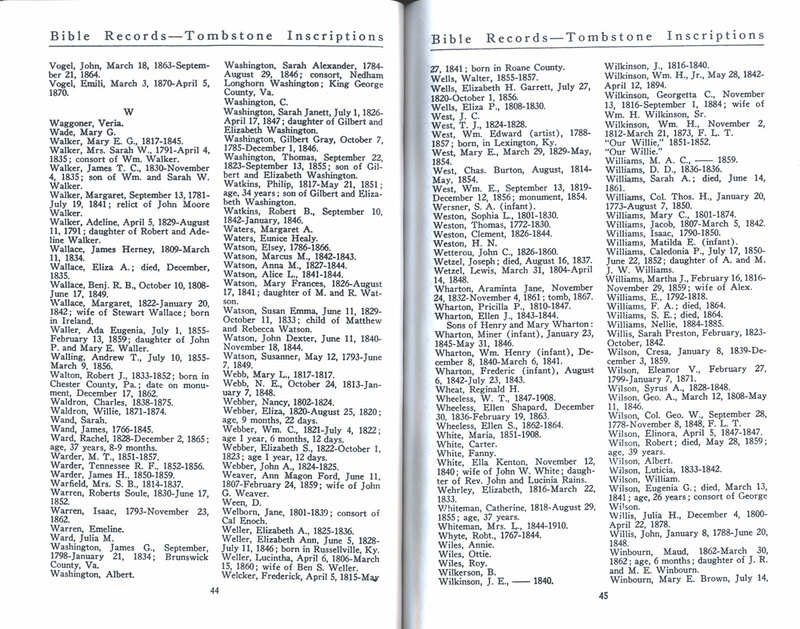 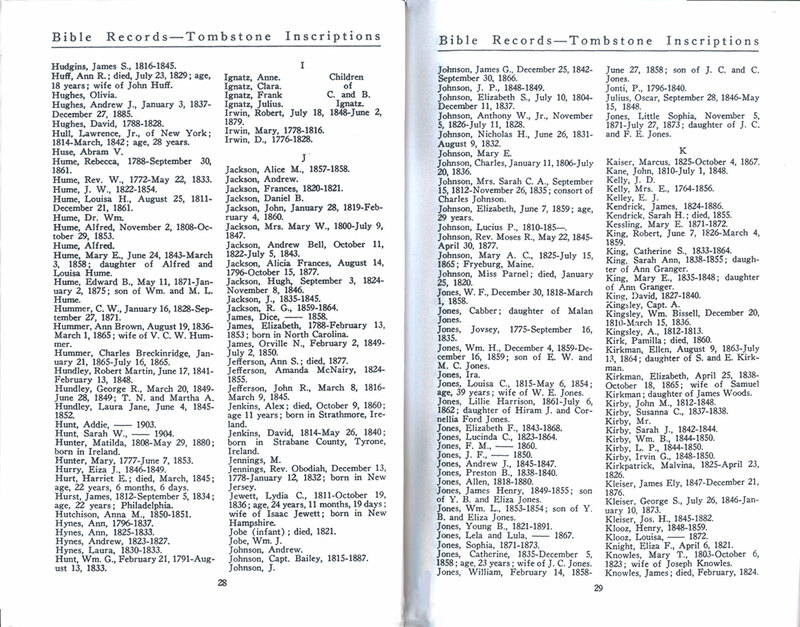 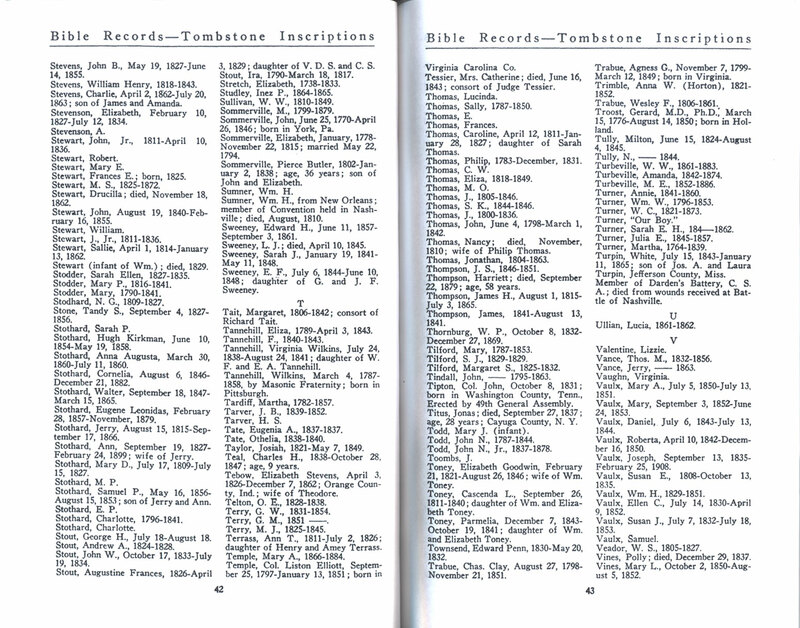 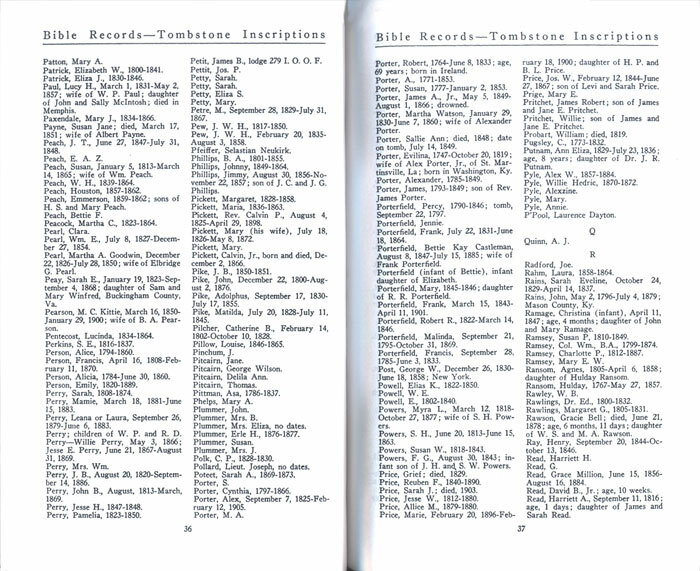 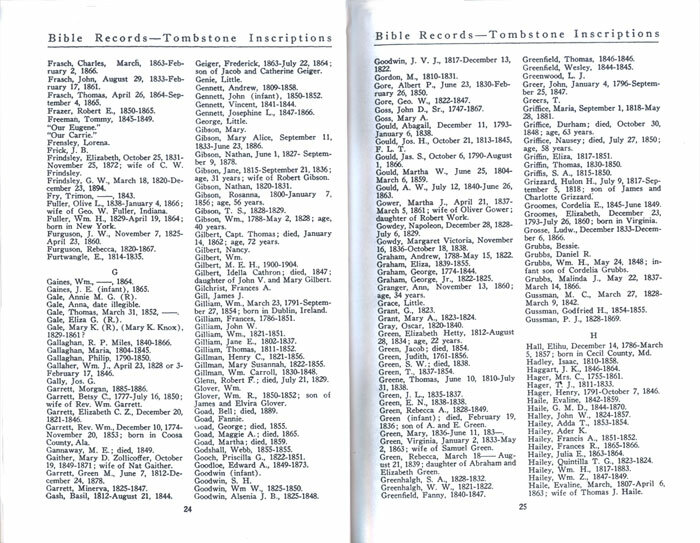 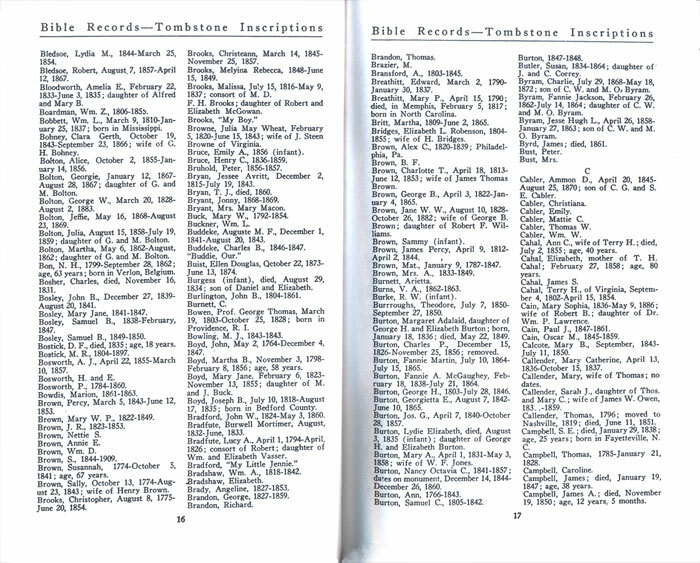 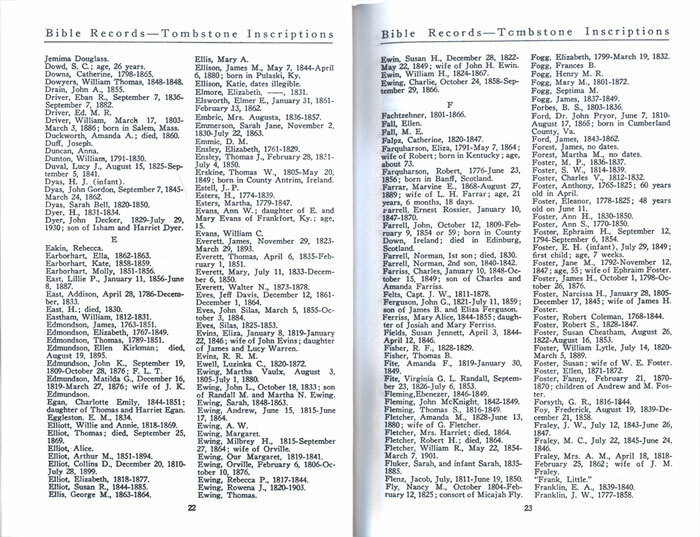 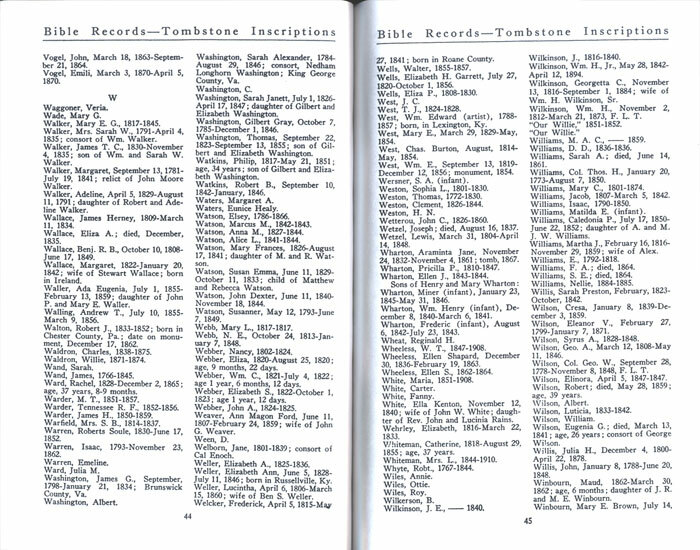 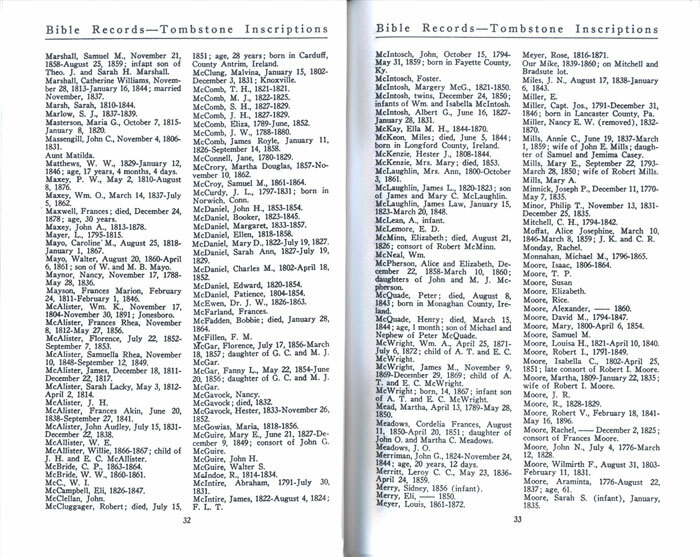 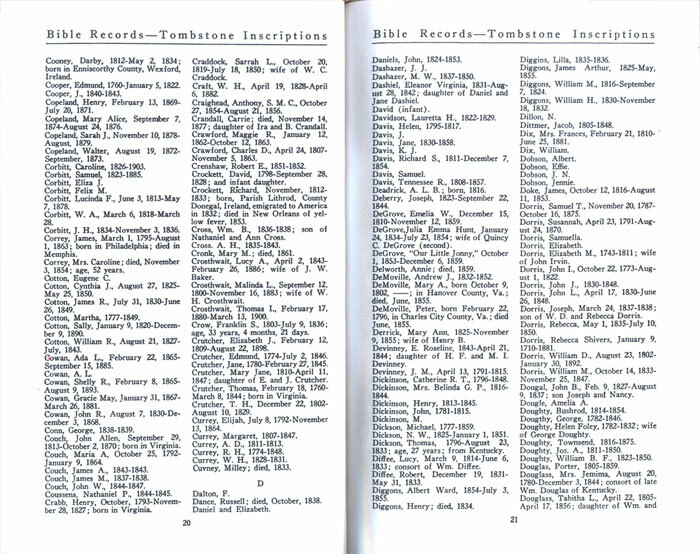 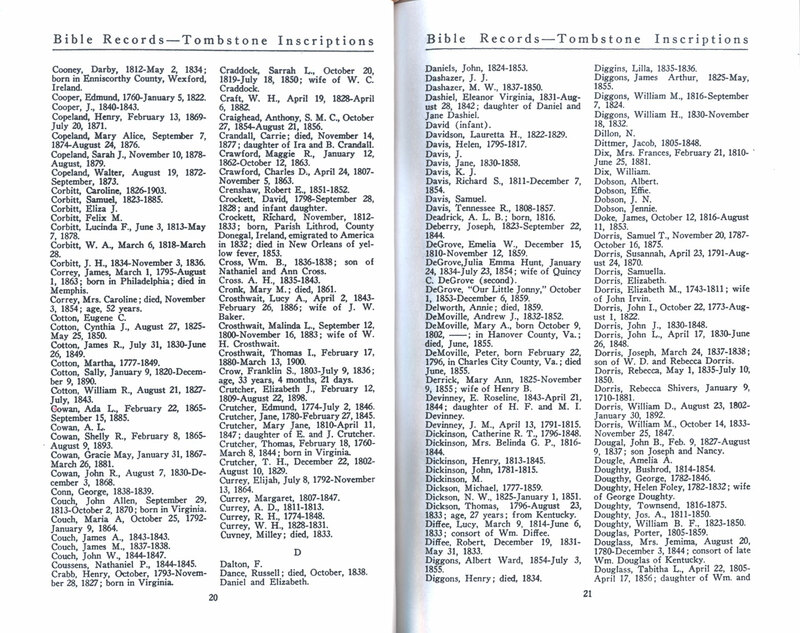 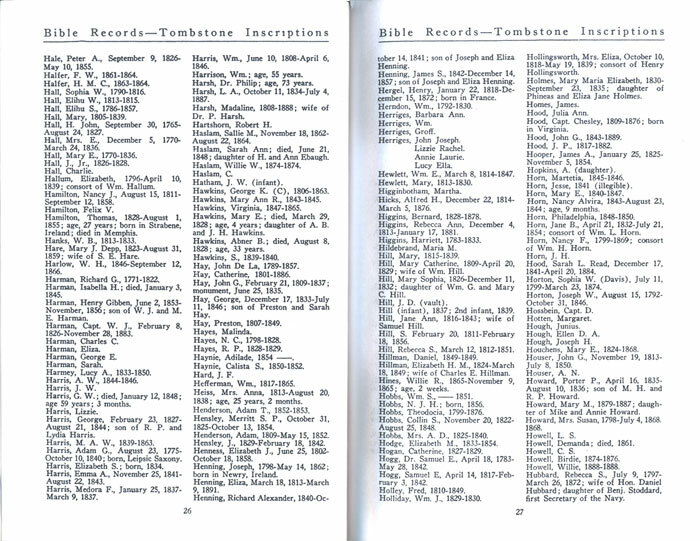 A list of Inscriptions corresponding with the 1908 Plat Maps. Published in Acklen, Tennessee Records, 1933. 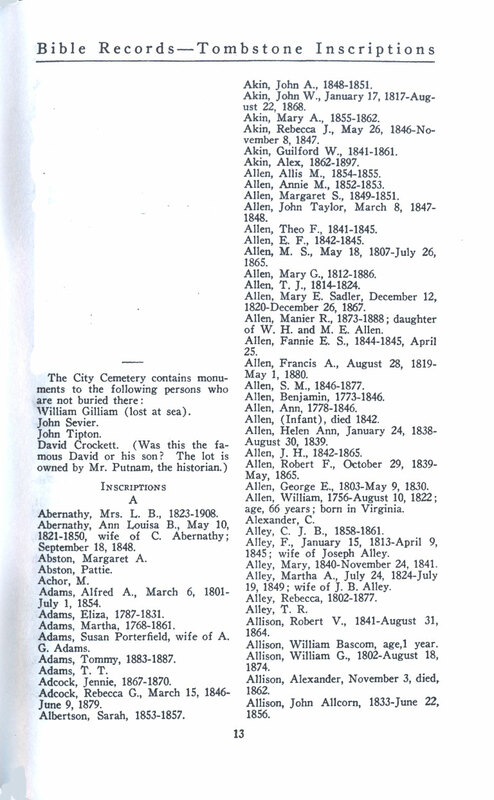 Abernathy, Mrs. L. B.-Allison, John Allcorn Allison, James Hart - Bledsoe, James M.
Cooney, Darby - Douglass, Tabitha L. Dowd, S. C. - Franklin, J. W.
Frasch, Charles - Haile, Evaline Hale, Peter A. 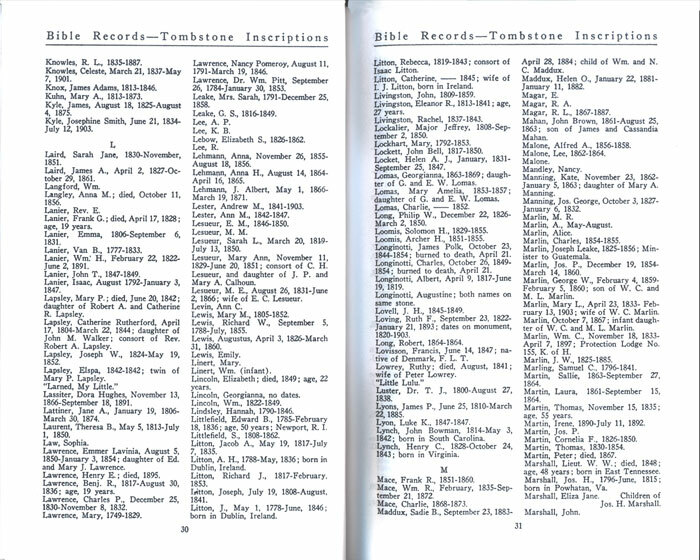 - Hubbard, Rebecca S.
Shapard, Margery Childress - Stevens, Moses Stevens, John B. 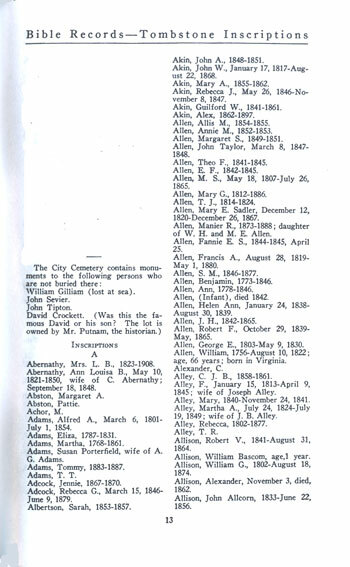 - Vines, Mary l.
Allison, James Hart - Bledsoe, James M.
Bledsoe, Lydia M. - Campbell, James A.
Cooney, Darby - Douglass, Tabitha L.
Dowd, S. C. - Franklin, J. W.
Hale, Peter A. 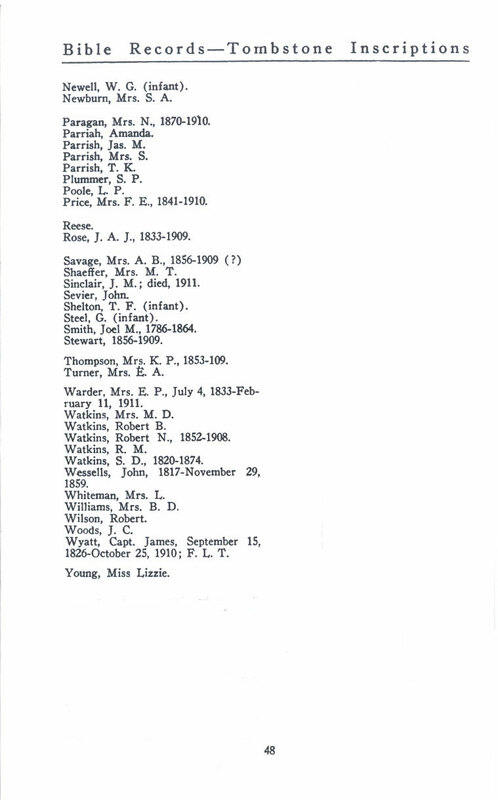 - Hubbard, Rebecca S.
Hudgins, James S. - Knowles, Mary T.
Marshall, Samuel M - Moore, Sarah S.
Patton, Mary A. - Read, Harriett A.
Stevens, John B. 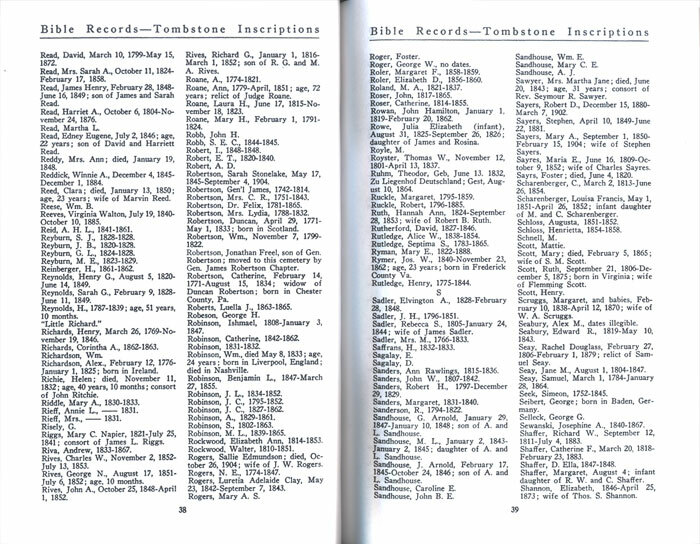 - Vines, Mary l.
Argo, H. S. - Nevins, T. A.